Will AT&T ask for my receiver back? All DIRECTV receivers for home use are leased. Don’t believe those people who crow on the internet about owning their stuff. There might be a few people who got their equipment through testing, but it’s not many, that’s for sure. Regular folks are always going to have leased equipment. Since you don’t own it, AT&T has a right to ask for it back. Why are all receivers leased? DIRECTV and DISH both moved to a lease model in the mid-2000s. This helped everyone actually. Leased equipment can be depreciated which makes the company’s bottom line look better. Customers can easily turn in leased equipment and get an upgrade, too. The only people who really suffer in a lease model are hobbyists who would want to customize the box. The agreement you sign with the satellite company says that you won’t open the box, won’t paint the outside, that sort of thing. How long does the lease term last? If you’re used to leasing a car, you might think that there’s a fixed lease term. Satellite equipment has an open-ended lease model, meaning you can keep it as long as you keep paying that monthly mirroring fee. After a fixed period (usually two years from the time you got the receiver) you can end your service with no penalty, but in most cases you can upgrade or change the receiver just by paying a new upfront fee. How do lease returns work? If you are turning in a receiver that you no longer want, you will get a recovery kit that is basically an empty box. There will be instructions in the box on what to put in. Generally you just put in the receiver and not the remote or power cords. You can keep those or recycle them responsibly. Your customer service rep will generally tell you if they are sending a recovery kit when you deactivate the old receiver. Most of the time, you take your recovery kit to the closest Fedex location. If you have a Fedex person who comes to your office you can generally give it to them as well. The big question: Will they want it back? All other receivers and DVRs are considered “deprecated” meaning that they work but they don’t go out to customers anymore. Generally the purpose of taking the receiver back is to refurbish it and give it a new life with someone else. That’s why older receivers don’t need to go back. A lot of times, a customer service rep will tell you at the time you deactivate the receiver that they don’t want it back. However, if you’re not sure, and you don’t get a recovery kit within a month, you can call again and any rep should tell you the status of the old receiver. What can you do with an old DIRECTV box? There isn’t much you can do, honestly. You can’t sell them because AT&T won’t activate a receiver that’s already been activated, unless they’ve refurbished it. If it’s a DVR, you can try to rescue the hard drive. You’ll need a set of security bits (or maybe a rotary tool) and let me tell you those cases can be hard to remove. It might not be worth it just to get your hands on an old hard drive that isn’t worth more than $30 if you bought it new. That leaves responsible recycling which is probably the best choice in almost every case. Many cities and towns have their own recycling centers and the law in some states says that you can take electronic waste to any store that sells consumer electronics. If you’re not sure, call and ask them. 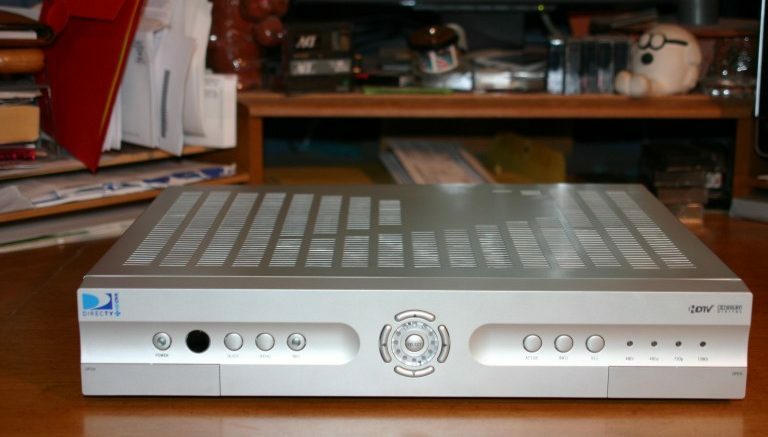 Is Wi-Fi good enough for DIRECTV receivers?